Oh Yes! This one simple tiny spinner has taken the whole world on a twirl! Isn’t it? From children to adults, from TV news to social media, it was all over spinning its way here and there and everywhere. A fidget spinner is a cool toy right? If you agree with me, you have come to the right place. 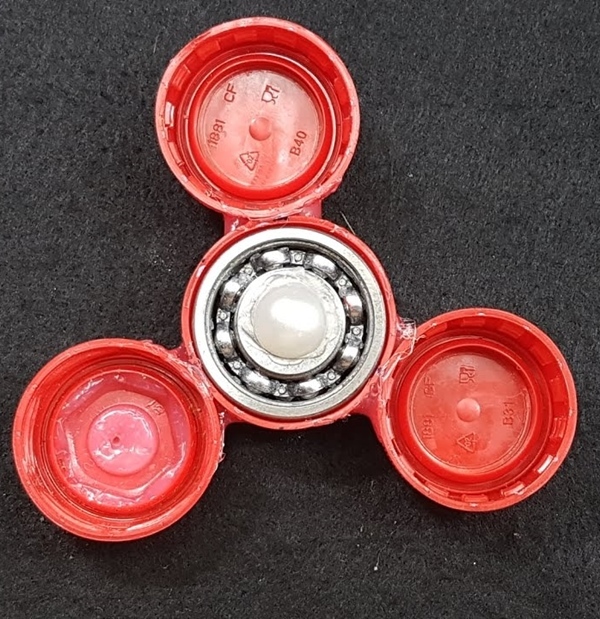 I am going to teach you five simple ways to decorate your fidget spinner to bring the degree of coolness several notches higher. These ways that I will show you are quite different, and I have a couple of favorites. I won’t tell you more. Why don’t you read on, decide your own favorites and then at the end we can compare if we both share the same favorites! Sometimes we get more satisfaction in playing a game they have made themselves.So it’s possible and you can make your own homemade games. The best characteristic about this one is that if you can make it entirely at home from things you have lying around. What you need is some cardboard (cereal packs or party hats or greeting cards), a toothpick, and some quarters. You also need to find yourself a glue stick, strong PVA glue, pin, scissors and a template that you can download off the net. Cut the cardboard in the shape of a spinner, stick two coins on the edges of the spinner, and have a pivot to spin it with in the center. You can make it as nice as possible with some colorful paper or interesting shapes, but make sure you spin it right. Take some cardboard and draw a nice circle on it with a compass. Mark out the radius on the edge of the circle in three directions and then divide the circle with a pen into three equal portions. Draw a triangle connecting the marked edges. Mark the middle point of each side of the triangle. Draw tiny half circles inside the triangle with the middle point you just marked as the center. From the corners of the triangle make a mark about 1.5 cm on the lines connecting the apexes. Take a nut and trace out its octagon shape on this mark you made on all three sides. Use a paper cutter to first cut out the triangle, then the half circles on the edges and then the octagons inside. Make two small cardboard circles and cut them out. Make a hole in the center of one; pass a toothpick through it, then the triangular piece, and then the other small circle. Glue the circles to the toothpick and cut off the extra piece on either side. Glue three nuts to the octagons. Color it nicely and spin away. And yes you read that right. 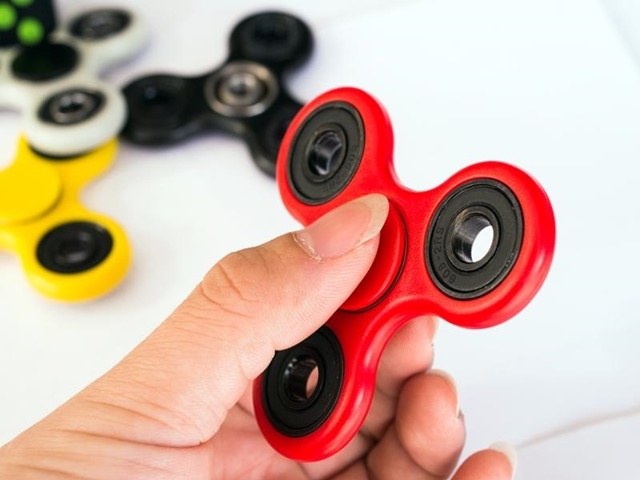 You can have edible fidget spinners that actually spin as well. If this doesn’t make your child jump with joy, nothing will. 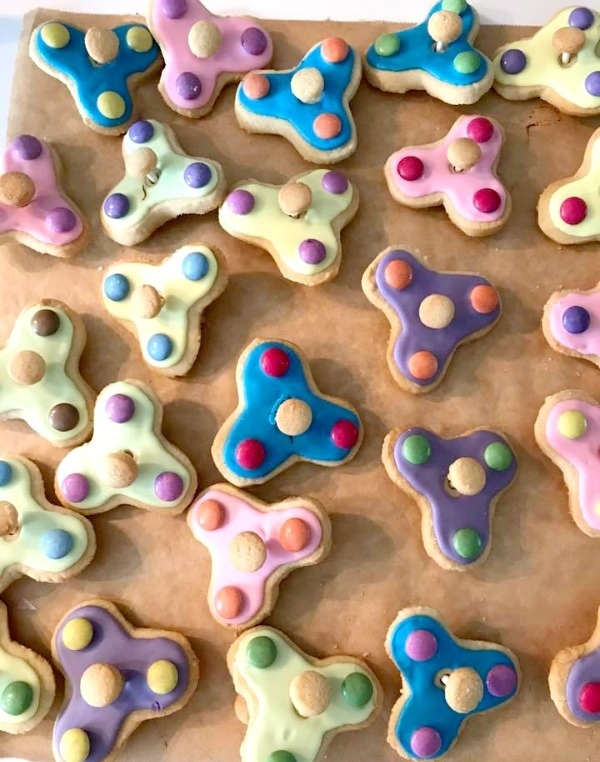 So get yourself some cookie cutters in the shape of a spinner and start baking. You can frost it or leave it plain. Just remember to insert a small piece of a toothpick in the middle of each cookie. Once they come out of the oven all golden and brow, insert two cardboard circles through the tooth pick piece on either side. Now hold it up and spin it for your child and once the fun is over – he can eat the delicious cookie. 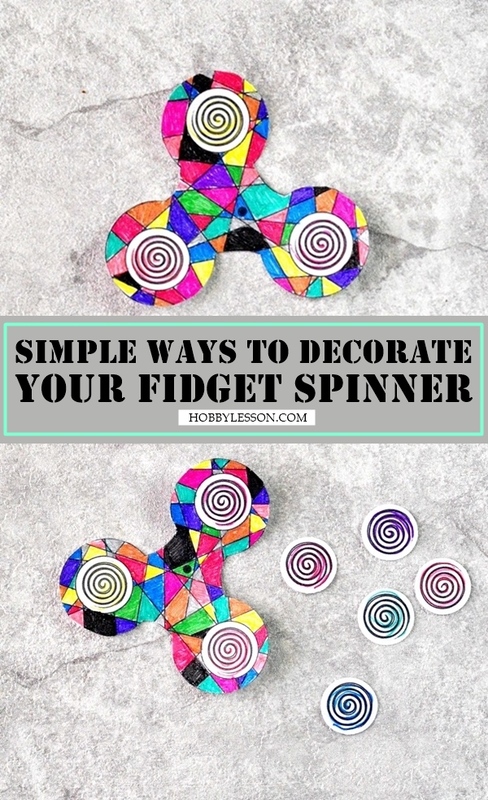 These simple ways to decorate your fidget spinner will leave you wanting more. You can make anything and everything with Lego and you can prove that right by making a cute little fidget spinner made out of Lego pieces. So how do you do it? Put a 4×4 round plate on the top as well as bottom of a 6×6 round plate. Slide one of the 2×2 round pieces with a round hole onto the axle. The axle should be three studs long with a stud at the end. Add two smaller circles on either side. Make the spinner arms with rectangular pieces. Make sure you leave some pace for the spinner to be able to turn. Your colorful Lego spinner is ready to take for a spin! And another innovative one! You don’t need too much to make this fidget spinner a winner. Just take a strip of duct tape and place three bottle caps side by side on it facing up. Wrap the sides of the duct tape onto it. Take an index card and draw a circle on it. Cut it out. Trace out some more circles, till you have four of them cut out and ready. Glue all four of them together. Take a toothpick and poke a hole in the middle of the duct tape wrapped bottle caps. Cut off the sides, and glue on the index card circles on each side of the toothpick. That’s it. Spin away! And tan-ta-ran, my favorites are the cookies and Lego. Did they match with yours? And I bet you never thought of this one, but fidget spinners can make great science projects. Think about it… centrifugal forces, optics, friction, and even sound – physics made interesting!